Banner County in the News! 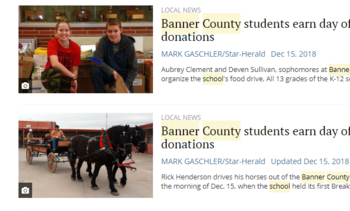 Click here to check out all of the recent Star-Herald articles about Banner County Schools! Click here to watch KNEB.tv's award of Student of the Week to Banner County student Maddie Hill.